"If we leave Europe, we should finally have the decency to return Greece’s plundered heritage"
The Acropolis Museum in Athens is an architectural marvel that has rightly won awards. The way the remaining Parthenon marbles are bathed in sunlight and overlooked by the temple that was their original site is profoundly beautiful. But what I found most affecting when I visited last week was the deliberate absences in the exhibits – spaces pointedly left blank for the day when, Greeks hope, the rest of the sculptures that were carved by Phidias and his assistants circa 447–438BC will be returned. 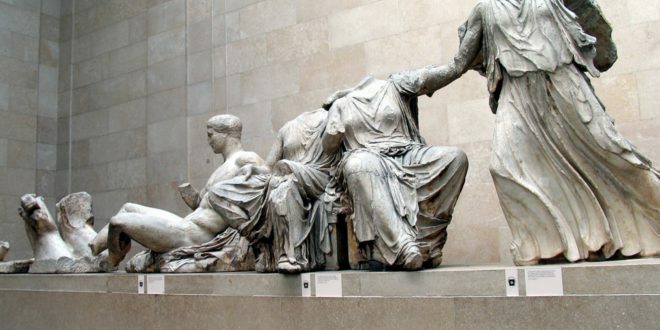 Many readers will no doubt be aware that many of these priceless sculptures, once better known as the Elgin marbles, reside in a gloomy room in the British Museum, having been torn from the Parthenon in the early 1800s by Lord Elgin. It is a subject of great controversy, but one that most Britons, especially those who are young and not of an imperialistic bent, struggle to care about. When polled in 2014 by YouGov, only 23% of British people wanted to keep them. In contrast, Greeks continue to care deeply, and Brexit has provided an opportunity for their government to exercise some pressure. After all, the UK government will need approval from all EU member states if a Brexit deal is reached. Rather cannily, last August, Greece’s then culture minister, Lydia Koniordou, sent a letter to Jeremy Wright, our culture secretary, requesting the opening of negotiations regarding the marbles. It’s ironic that, at a time when Brexit has revived the sort of jingoistic imperialism that turns many a remainer’s stomach, such symbols of British cultural chauvinism should be questioned. There are many powerful arguments for returning the marbles. I would advise anyone interested to listen to an old debate, in which Andrew George, chair of Marbles Reunite and a Liberal Democrat MP, and the actor Stephen Fry called for the marbles to be returned to Athens. They appealed to a British sense of fair play, pointing out that it would be less a humiliating climbdown, more a gesture of friendship to Greece and its people. Very interesting debate to watch. Well I agree with you Wiz dear chap those sculptures absolutely should be returned, either way it’s the right thing to and overdue. For more than 20 years the English have been inventing lame excuses not to return the sculptures. Too fragile, bad local environment, pollution, not enough support infrastructure in Athens, etc. But if am not mistaken a year ago or so they did send the sculptures on a road trip to Moscow. Yes they should go back, and inevitably they will. The prevailing environment or sense in the antiquities trade is for the return of cultural artifacts that are illegally removed from public/national environments (locations). On the other side getting G. Clooney's dimwit wife involved did little to advance the return. It is well known fact that the Ottoman Empire had/s one of the best kept record office and if there was a Sultan permission to Lord Elgin, it would have been there..... but there is not! There is only an Italian translation by Galtieri presented as evidence for the ownership of the Marbles......when they were offered for sale to the British Government! Many years ago, there was an excellent program on Channel 4 - 15 to 1 explaining all about the historical facts and the proposition for the return...... I have an original copy of the program supply to me by the presenter. The case for the return it's very old.....and in 2010 I took my wife to Athens and we visited the Newly build museum. We both were very impressed and sad that there were also the missing spaces . As somebody else said: "It is like a family photo with many of it's members missing......"
I posted this article, because I was surprised to read it's comments..... and I don't believe the quislings who run the country will ever do something about it's return. They already removed the Minister Lydia Koniordou, who sent a letter to Jeremy Wright, our culture secretary, requesting the opening of negotiations regarding the marbles. Why we should make a great gift to the Greeks? When John Major restored the Stone of Scone to Edinburgh nobody said that if it went on like this there wouldn't be one stone to pile upon another in Westminster Abbey. When the British Museum returned a portion of the beard of the Sphinx to Egypt so that the fabulous couchant beast could be properly restored, nobody howled about the emptying of the world's galleries. When the Lane Collection was returned to Dublin, the sky remained in place. There are two reasons for this endless incantation, which is nearly as durable as the simple pun on "losing our marbles" which every saloon-bar savant believes he has coined for the first time. The first reason is the pricking of a poor conscience. 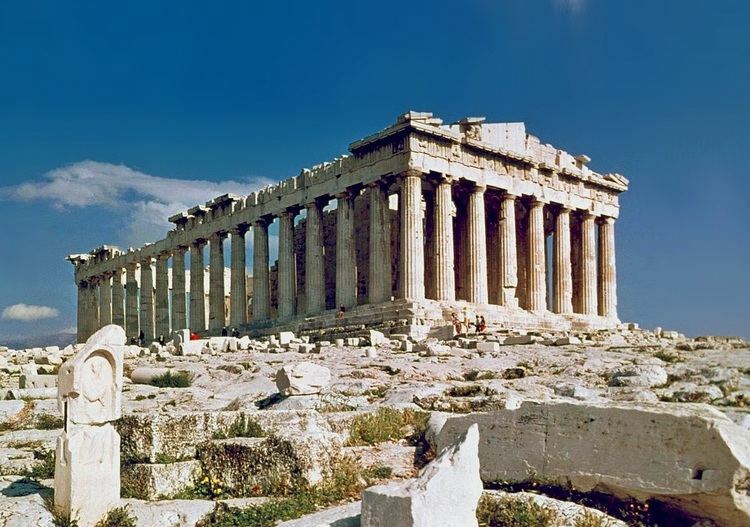 Even people who claim that Lord Elgin rescued the Marbles from a worse fate -- an argument which does have some truth to it -- are dimly aware that by saving the property of a neighbour you do not become the sole owner of that property. It's also quite well understood that Elgin negotiated the removal with the then Turkish occupiers, and that the Greeks were helpless to prevent their colonial bosses from disposing of treasures they did not especially rever. No great cause for British pride there. The second reason has to do with a simple misunderstanding. No international law governs the allocation of sculptures, paintings, bronzes or any other artifact. And there is no international body, let alone an international authority, to which application can be made. The European Parliament can express an opinion, if it so desires, and so may UNESCO for all the good that may do. But what any nation "has", by way of museum objects, it is free to hold or to return. The whole question of precedent, then, is a huge waste of breath. There are no precedents, only individual instances like the ones I mentioned above. In the case of the Parthenon sculptures, to give them their proper name, the precedent argument is unusually silly. For one thing, the Greeks do not want anything else "back". They are rather pleased that samples of the heroic age are on display everywhere. But the sculpture that was cast under the direction of Phidias himself, to adorn the Temple of Athena, is as close as you can come to a unique case. In 500 or so feet of almost breathing stone, it tells a story. It was cast as a unity. It is an integral part of perhaps the most beautiful building that still survives from antiquity. If the Marbles were a canvas, and that canvass had been arbitrarily cut or torn in two, and the two halves were in separate galleries they would have been reunited by now on aesthetic grounds alone. Short of moving the rest of the Parthenon to Great Russell Street, there is only one way that an intelligent visitor will ever be able to see the whole design, and that is by an act of generous restitution. To hear some people talk, you would think that such a restitution would cause the Marbles to disappear from view. But during the past few years the Greek authorities have been taking the matter very seriously. A new museum is in preparation, on the slopes of the Acropolis, (Now opened as you read above, unfortunately without the Parthenon Elgin Marbles returned) in which it will be possible to house all the sculpture in one place, in controlled conditions which will prevent damage from pollution. This one place will be right next to the temple, so that a student can view the building and its decoration in the exact historical geographic and architectural context, all in one day. It is partly the fault of the Greeks that this was not possible before, so that the long-running argument over the sculpture, which began when Byron first lampooned Lord Elgin in Childe Harold's Pilgrimage in 1817, has always been a case of either/or. Should we give them back, or have we acquired nine points of the law by careful possession? Deadlock and constipation and amour-propre. Now, a completely different proposition can be made. Would the British people, through their parliament, care to become co-sponsors of a restored Acropolis, complete with its Parthenon centrepiece? I do not think the handsomeness of this offer has begun to be appreciated. Picture the scene. The museum is opened in the shadow of the Acropolis. The Speaker of the House of Commons, and the Prime Minister, perhaps, are honoured guests of the Greek parliament. They jointly announce that, for the first time in almost two hundred years, the caryatids, Lapiths, Centaurs, horses and chariots can be seen as they were intended to be seen, as an aesthetic unity. At least one of the ravages of time, war and chaos has been, as far as is humanely possible, undone. In Greek and Cypriot tavernas all over the world, it is announced that on this day British guests eat and drink for nothing. A stone on the site records that, like Gladstone's return of the Ionian Islands, a great act of magnanimity and symmetry has been performed by the islanders of the North Sea. Something like this was actually proposed by the Tory MP Thelma Cazalet in the Commons in 1944. The gesture then was intended to commemorate the moment when Britain and Greece had been sole partners in the fight against Nazi imperialism. That chance was missed, thanks to pettifogging in the Foreign Office, and the old, grudging repetitions were resumed. But now there's no excuse. Nobody needs to give anything up. Everybody can be a winner. It would be a shame, I think, churlishly to decline such an offer. But no doubt there will be those who want to go to the last ditch, grumbling in their warm beer that the next thing you know we'll be appeasing the Babylonians. By Christopher Hitchens. This article appeared on 4 March 1998 in the Evening Standard, and I hope and expect Mr Christopher Hitchens will have no objection appearing here, as I have not managed to find his email or the way to contact him and ask for his permission. C. Hitchens was an unique person. I disagree with the the thinking of Wiz/ C.Hitchens "Why we should (The English) make a great gift to the Greeks?" This should be about correcting a wrong. Reading the article of Hitchens some things have changed over 20 years. The return of artifacts, such as the 'Elgin' marbles are now normal with items being returned to China, Thailand and Syria removed from similar locations. The common denominator is that these are art works removed one way or the other from public structures such as the Parthenon. This translates in the real world that the so called Venus de Milo is safe. On the other side the Greek government could in theory make a claim on the Winged Victory of Samothrace as this work seems to be meant for public display. I agree that the Stones should be returned. The Greeks have given us so much in philosophy, art, culture, math, and some early ideas for a better system of governance (Plato's Republic). The British museum can always make a replica to put on display in their museum. As for Egyptian Antiquities, I don't think that some artifacts should be returned due to the looting that occurred at the Cairo Museum during the "Arab Spring". Even though there were people forming a human chain trying to protect the museum. With respect to the item returned to Syria. It was for a number of decades in a museum in Canada. Sold on a public auction the buyer did due diligence and the fact that is was removed improperly from temple in Palmyra.This was not recognized at the time of auction. I should note I read articles but do not involve myself in this field. Long ago I became involved in a fierce debate/argument with some who were selling 18th century American grave stone/markers. I find this practice highly offensive. Nothing it's normal until the actual 95 pieces of the Parthenon Marbles, stolen by Lord Elgin will be returned to Greece. The Greeks they have not asked for any other artifact to be returned, like those you mentioned....... To be honest they have too many artifacts that are not on display because they have not enough spaces to exhibit them. Unfortunately the Brits are not renown to return anything from their empire years..... without any REAL pressure. In 2012 there was an opportunity for the Greeks to refuse the olympic light for the Olympic Games in London.....if the Parthenon Marbles were not returned.... but the then Greek Government.....would not take any threatening action to expose the British intransigence, in connection with Brexit, regarding the return of the Marbles. Christ Almighty you can't give every bloody thing back!! Can you imagine what would happen if every country had to return stolen loot!! The Vatican would be closed down tomorrow..
'We' never had any right to the 'Elgin' marbles and Brexit has f all to do with the subject ..... the possibility to remedy the situation. At least Moby recognised the truth about the ownership of the Parthenon Marbles. The article mention Brexit.... because if there will be any new agreement between the UK and EU this agreement has to be ratified by all other Governments of the EU. The Greeks never asked for anything else to be returned.......except only the 95 parts of the Parthenon that were removed. Simple. On the other hand Greece has so many artifacts.........that can continue lending you you various artifacts...... for ever. Steve you are speaking of two different topics. The ultimate apples and pears. The Elgin marbles are part of the National Patrimony of Greece, this is the fundamental difference to say a painting created by J. M. W. Turner for the art trade. The growing trend is too return these stolen items. As I have noted up thread it is the right thing to do. Further the majority of art work in the Vatican was commissioned by various Catholic popes and bishops over the centuries. It is not like they stole the Sistine Chapel from another country. Oddly enough there was a dimwit in the Duma that demanded the return of a number of paintings from the National Gallery in Washington D.C. several years ago. Most (legal/art) experts wondered what drugs he was using. Wiz as is typical for your posts you are wrong, Greece has reclaimed a number of items removed illegally from Greece. Again while I recognize Greece has an abundance of dolts and antiquities if they are removed illegally than they should be returned. I am aware that a Historian in Greece has traced and cataloged a huge number of Artifacts stolen by the Nazis's during WWII and chase them around for the return.... and that as far as it goes my knowledge. Has it ever crossed your mind why the Britts don't want to return not only the Parthenon Marbles or other artifacts that they have stolen from other countries?